It reveals that the country needs Perestroika 2.0. EDITOR’S NOTE: Translated by Antonina W. Bouis. The Edelman Trust Barometer Global Report placed Russia at the very end of the list in population trust. 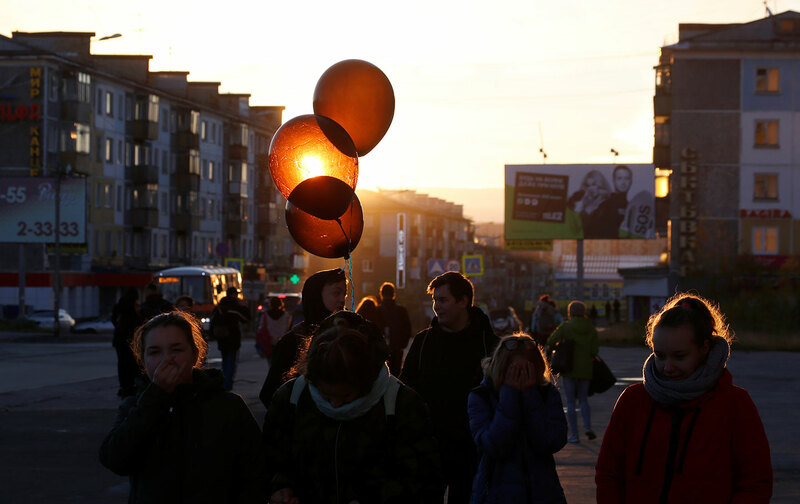 In commenting on the news, the popular newspaper MK noted sarcastically that “the new national idea for Russia is now general distrust,” a reference to the fruitless attempts to formulate a “national idea” in the Yeltsin years. Russian sociologists also write about the lack of trust in state and public institutions. The most recent poll by the independent Levada Center found that more than half of the respondents (53 percent) feel that the government is not executing its responsibilities to its citizens and should resign. In late 2018, according to the Levada Center, 45 percent thought the country was on the wrong track, 11 percent did not have an opinion, and 44 percent supported the nation’s current course. The number of people ready to join protests against the plunging living standard was at 30 percent. The president’s popularity started falling in mid-2018. In January, the Russian Public Opinion Research Center (VTsIOM) reported that Vladimir Putin’s approval rating was down three points in December, to 33.4 percent (the Foundation for Public Opinion says it is 46 percent; and Levada Center, 66 percent). The head of VTsIOM said this was the lowest indicator in the last 15 years. The president’s annual New Year’s address got a record number of dislikes online. Citizens are starting to lay the blame for the country’s problems not only the government and officials, as they had in the past, but also on the president. Obviously, the contract between public and regime, which had seemed inviolate for many years, has been undermined. The average life expectancy for men in Russia is 65.9 years. For women, it is 76.5. These numbers vary greatly by region; in Moscow, both men and women live much longer, almost as long as in developed Western countries, while the depressed regions of the extreme North see much shorter lives. Obviously, many men simply will not live to pension age. But that is not the only problem. In areas of chronic depression and unemployment, especially in the villages, a pension is often the only “ready money” for families, which they count on. The money (very modest in comparison to pensions in Europe and the United States) is used to pay for medicine, gas and electricity, and savings for children’s education. The reform destroyed the life plans of many and will increase the number of people below the poverty line, which at the moment is more than 20 million. Economists have called for reform of the pension system inherited from the USSR. Yevgeny Gontmakher, professor at the Higher School of Economics and a member of the board of the Committee of Civil Initiatives, together with colleagues, offered to do the work of this reform over several years, by 2020, while improvements were implemented in social and health services. The authorities ignored expert advice, as they had done in recent years. Some officials responded to public dissatisfaction cynically—suggesting pensioners subsist on macaroni, or reminding them that the people starving in besieged Leningrad did not complain, or simply stating that the state owed nothing to its citizens. Social media exploded with reactions to this and to reports that these legislators had income and property incommensurate with their official salaries. The atmosphere in Russia resembles that of the pre-perestroika years in the USSR—people are fed up with leaders, corruption, hypocrisy, and geopolitical policies favoring the elite, and they are obviously pushing for change. Researchers had noted the change in mood early in 2018. The Committee of Civil Initiatives and the Levada Center noted the hostility toward absence of dialogue in decision-making and irritation at heavy-handed propaganda. Pride in the annexation of Crimea was replaced by fear of a new war. Pension reform buried any remaining illusions of the stability of the social contract between the ruling elite and society. Beginning in the 2000s, people entrusted all strategic decisions to the president and government in exchange for material well-being. Former Soviet citizens had never had access to so many material possibilities before the Putin era. High oil revenues created the illusion of continuing development. People concentrated on improving their personal space. In the USSR, it was severely regulated and limited, and private property did not exist. Personal space was a new concept, and for a long time society considered the state the guarantor of its prosperity. That led many to shut their eyes to violations of the law, limitations of civil freedom, and growing corruption, and to distance themselves from politics. The annexation of Crimea elicited a surge of patriotism, strengthened by the anti-Russia sanctions, but it was followed by disillusionment in social politics, higher prices, and a lower standard of living, which people interpreted less as the cost of geopolitical decisions than as an attack on their personal space. It seems that they will soon be ready to demand reforms in the existing contract. The government’s “ostrich-like” and wholly Soviet unwillingness to listen to the people, the desire to tighten the screws instead of embarking on needed dialogue, as well as the hikes in prices and taxes, are radicalizing people. That is exactly what millions of people in Russia expect.